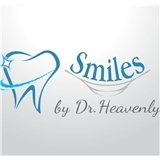 Smiles By Dr Heavenly (Duluth) - Book Appointment Online! I filled out my paperwork online. When I got to the dentist's office I still have to fill out the paperwork again.